Float is cloud-based cash flow forecasting software that connects to QuickBooks® Online to provide businesses and their advisors with an up-to-date, accurate understanding of their future cash position. Float imports all bills, invoices and transactions from QuickBooks Online each day, giving you an accurate starting point to understand a business’s future bank balance. Download a PDF version of the checklist for review and to share with your clients. 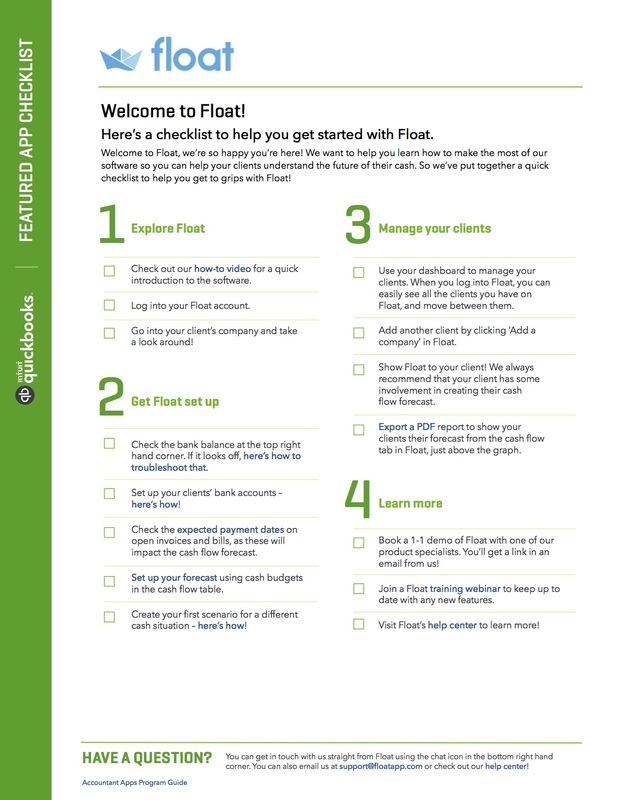 Editor’s note: Check out this Float Case Study and Fact Sheet.